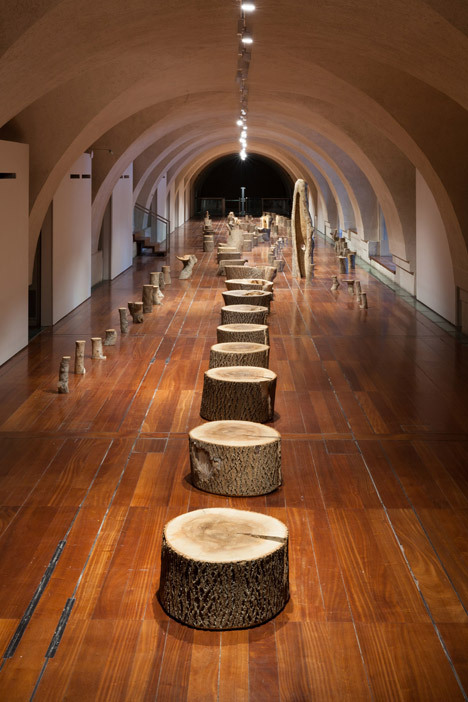 London Design Festival 2015: British designer Max Lamb's installation at Somerset House includes 131 logs sourced from an ailing ash tree at his grandfather's farm (+ slideshow). 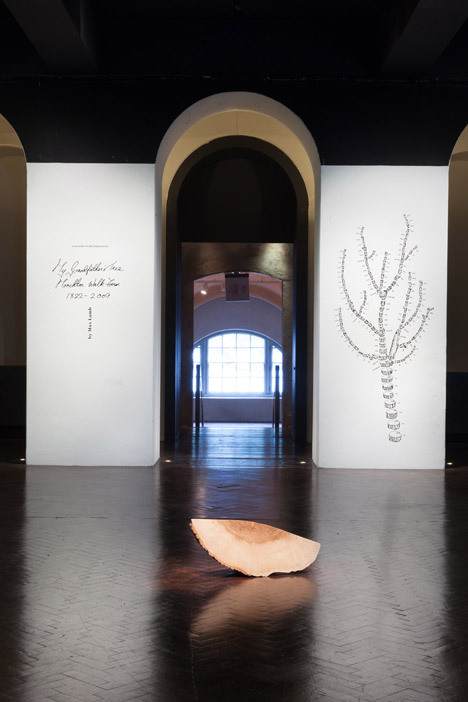 Lamb's project, titled My Grandfather's Tree, is located on the mezzanine in the Embankment Galleries at Somerset House and supported by Shoreditch-based Gallery Fumi – which showcased the designer's metal-tube furniture in Basel earlier this year. 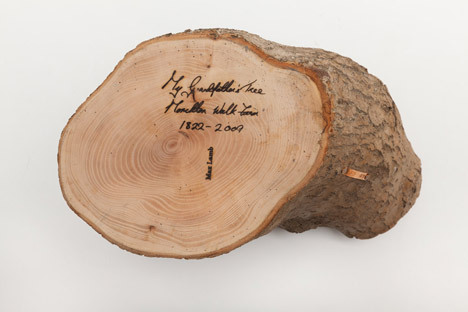 Each was taken from the same 187-year-old ash tree, which had grown at Lamb's grandfather's farm in Yorkshire, England, but had to be cut down in 2008. "He told me that it was important that the tree came down as soon as possible," said Lamb. "It was suffering badly from rot." 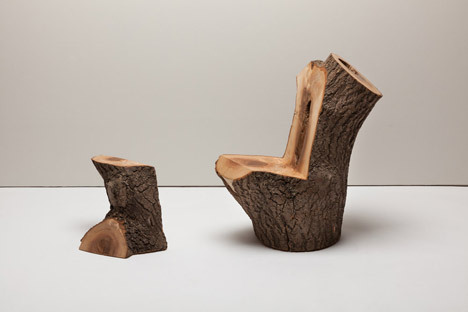 "He said 'if you cut the tree down, you can deal with it'," said the designer, who displayed 42 of his seat designs made using a wide variety of materials and processes during Milan design week in April. With the help of a friend, Lamb cut the tree into chunks before chopping it further into 131 smaller logs. 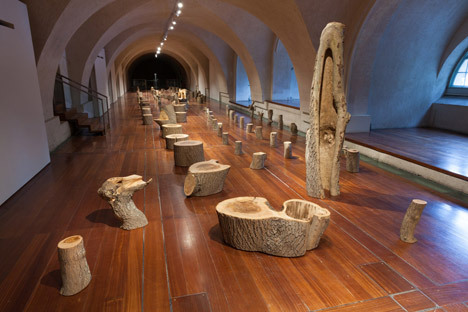 The pieces have been drying for seven years, but were finally sanded down and oiled to bring them to their current state for the installation. 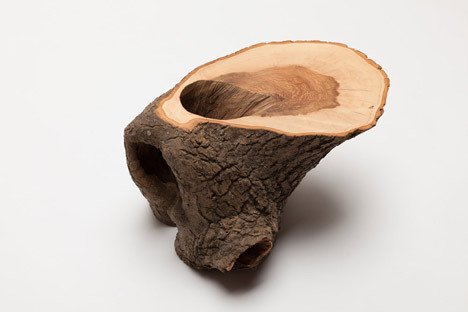 "Wood, if treated well, lasts for a very long time," said Lamb. "But often it loses its origin. 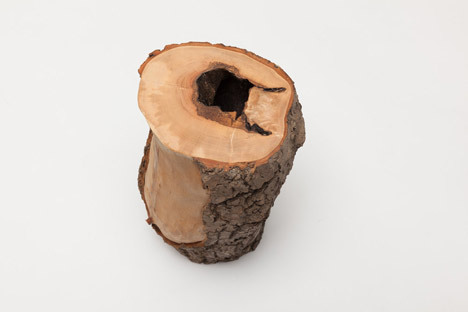 I wanted to use this material but try and maintain as much of the identity of the tree as possible." 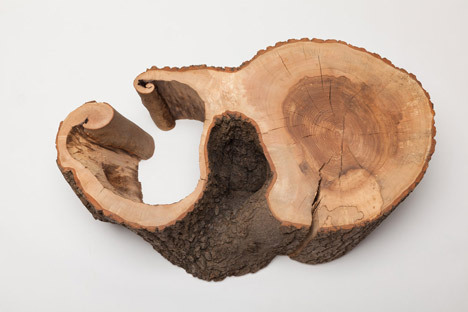 Each piece is numbered based on what part of the tree it came from. 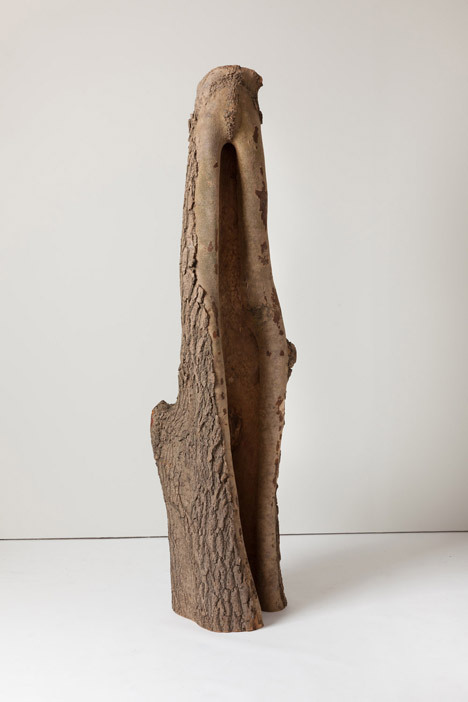 All are for sale, with prices ranging from £100 to £14,000 to reflect the volume of the material. 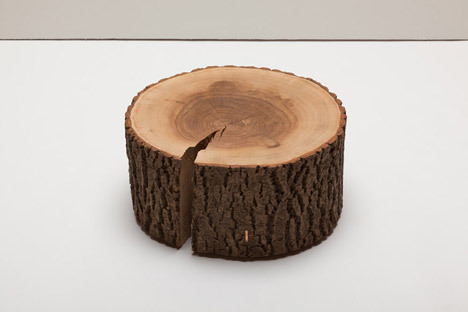 Lamb suggested that they could be used as stools, chairs, tables or simply decorative objects – but said it was important to maintain the information presented by the tree's rings and the connection of the logs to one another. "They aren't specifically anything, but they are quite simply logs that have been very well conditioned and very well finished," he said. 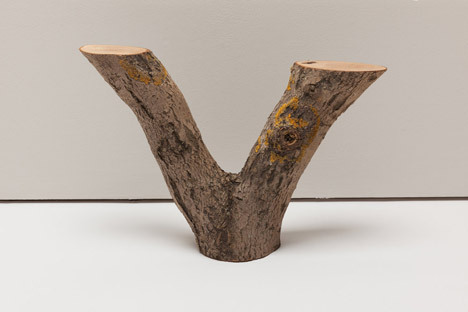 "The idea is to bring a little piece of this nature into the home, and leave as much to the voice of the material as possible." 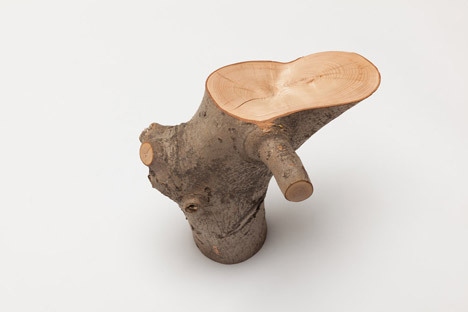 Somerset House is a new venue for this year's London Design Festival, which takes place from 19 to 27 September 2015. Elsewhere in the building, Patternity has filled a room with black-and-white graphics and 3D shapes to create a "playground". Lamb is also presenting a collection of wooden furniture with concealed storage during the city-wide event. 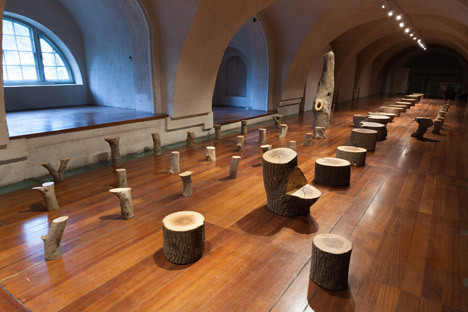 My Grandfather's Tree is one of Dezeen's must-see installations for this year's festival. 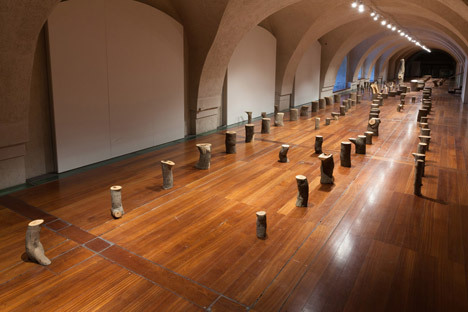 The post Max Lamb displays rows of preserved logs for My Grandfather's Tree installation appeared first on Dezeen.